Uh, whatever you say Terrell. This from the same guy that billed the the AFC Divisional Playoff game as “World War III” and on Tuesday called it the real Super Bowl. I don’t think Suggs is wrong. This is the NFL equivalent of WWIII and the team that wins WILL win the super bowl. As Far as classless trash goes this pales in comparison with what is coming from the Jets. I paint neither all Ravens players nor all Steelers players with the same brush. 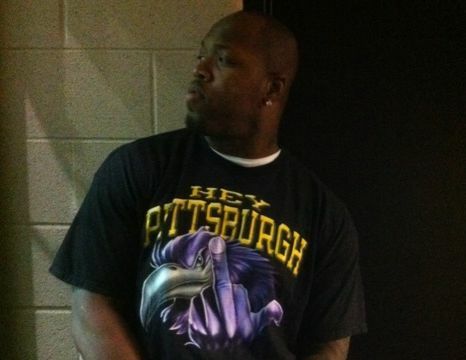 Several coaches and players tried to keep Suggs from wearing the shirt and he said it was in response to all the birds he gets when he goes there. Of course, he also said it was just the shirt he picked out for the day. Ha ha ha.